Maximum flexibility from the cloud. Make your end users’ working environment mobile. This makes your employees more productive and you more successful. 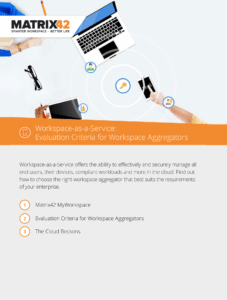 MyWorkspace makes it possible – easier for users, precise for IT and economical for the company. Turn your browser into a new operating system with MyWorkspace and access the desired data and applications from any device at any time. Whether it’s mobile, SaaS or legacy applications, it doesn’t matter. 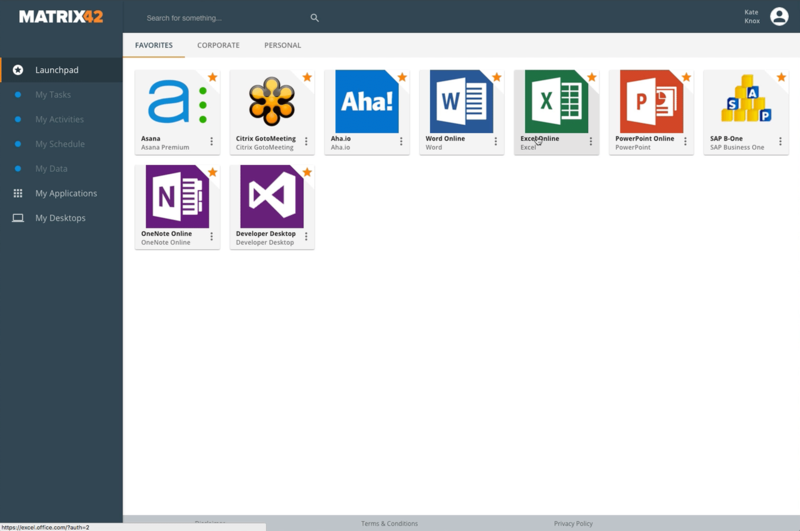 Integrate SaaS applications such as Office 365 securely and easily into a central web interface. Simplify your end users’ access to business-relevant applications and increase their productivity thanks to synchronisationless Active Directory integration of MyWorkspace and Single Sign-on. With the cost-optimized Office 365 Service Plan Management, you can also keep an eye on costs at all times. First open MyWorkspace in your browser and start with Office 365 without logging in again. The selected program opens independently of the device without any problems in the browser. Commissioning runs in the background as required. With MyWorkspace Browser Plugins for Safari and Chrome, your applications are even faster to hand. We have handmade the best solutions for your challenges and provided them with an attractive price. MyWorkspace is available in four editions. This means there are only costs for functions that you really need – upgrades and downgrades are of course possible at any time. If you have any questions about the scope of services offered by MyWorkspace, please call us or use our contact form. We will be happy to advise you.